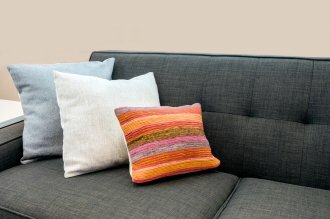 Are you reupholstering the couch that everyone uses each night or the ottoman that serves as more of a decorative piece? Your answer might determine the furniture upholstery fabric you choose. 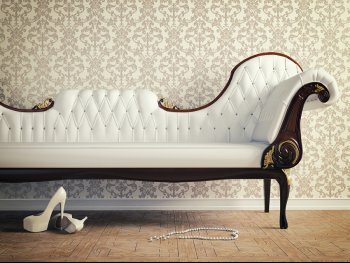 Upholstery fabric comes in a wide selection of materials, but not each is suited to frequent use. When you consider your options, keep in mind how much wear and tear each material can withstand. 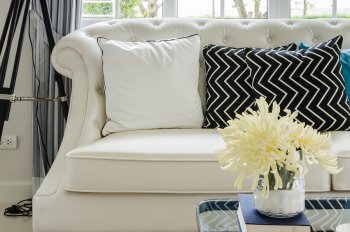 Your choice of upholstery fabric might also be influenced by how much fabric you need. For instance, you may prefer a more sedate fabric for a large piece such as a couch and a more dramatic design for a small chair or footrest. Your choice of upholstery fabric is an investment in money and time. You likely will have your piece of furniture for several years or longer, so it is important that you like your ultimate fabric selection. To see if your initial choice is the right one for your home, ask your fabric store if they can provide a swatch of your preferred fabric. By seeing it in your home, you can better determine if it will fit in with your personal style and existing décor. The upholstery fabric that you choose for your bedroom can vary significantly from that you might choose for your sunroom. Consistent exposure to sunlight can have a bleaching effect on some fabrics, so before selecting any material, talk to a fabric store expert. Depending on your needs, he can suggest upholstery fabrics that will retain their color even when they sit in direct sunlight. A fabric store in San Francisco can also recommend the right kind of upholstery fabrics for high traffic areas. Especially when you are decorating a child’s bedroom, you may want to choose materials that are resistant to spills and stains. If you’re unsatisfied with your furniture upholstery, you have two options: throw out the piece, or have your furniture reupholstered. 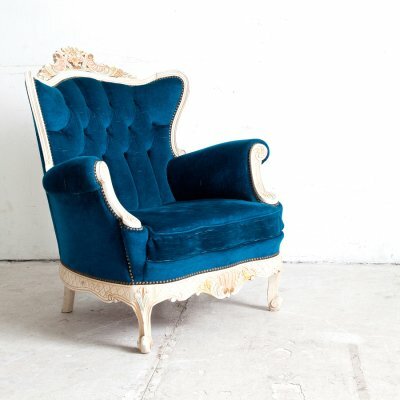 It’s usually much cheaper to reupholster old furniture than it is to buy new items, and sometimes it’s the only thing you can do to avoid parting ways with antique furniture that’s been in your family for decades. 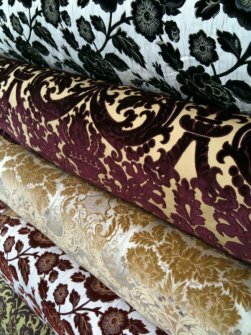 When choosing upholstery fabric in San Francisco, you will need to choose between natural and synthetic fabrics. In this article we will highlight some of the different types of synthetics and briefly cover some of the benefits of using synthetic upholstery fabric. Colorfast and stain-resistant, acrylic is a popular synthetic upholstery fabric. It is also more resistant to fading and sun damage than natural fabrics, but it can be harder to clean. Blend acrylic with natural fabrics to add durability. Visit a fabric depot in the Bay Area to see acrylic samples in person. Acetate is among the softest of all synthetic fibers. It’s also wrinkle-resistant and rarely pills. Homeowners most often use acetate in window treatments because of its wrinkle-resistant draping qualities and the fact that it is less affected by humidity than other fabrics. Although nylon is among the toughest of all synthetic upholstery fabrics, it’s not particularly comfortable. Nylon’s continuous filament means it resists stains and static electricity incredibly well, but it can’t breathe and warms up from body heat quickly. Polyester is a synthetic fabric consisting of strands bonded together. Polyester is fade-resistant and wears well, but it is harder to clean than most other synthetic and natural upholstery fabrics. Like acrylic, polyester is often used as part of an upholstery blend to increase durability. You can also find polyester at a fabric depot in San Francisco that is great for making your own clothes at home. Other than wool, cotton is the stronger natural upholstery option. That may be why this upholstery fabric is such a popular option for many different furniture pieces. Cotton can be dyed easily, making it a versatile option that can work with many different décor styles. This upholstery fabric also offers breathability, resulting in comfortable furniture that is great for the most popular rooms in the house. As stated above, wool is the strongest natural upholstery fabric you can choose for your home furnishings. This is a great choice if durability is your top priority when searching for upholstery for floors, furnishings, or accessories. Wool can be too harsh for some commonly used furnishings, but it is a great choice for carpeting and area rugs to add warmth to your home. This upholstery fabric is not as versatile as others because it is highly susceptible to wrinkles and soils. Linen is still a popular choice because it is stain resistant and offers a touch of elegance and beauty to any décor. You can incorporate this naturally beautiful fabric into your home décor with table linens or window treatments. If you are looking for a different feel, you might choose leather for your home furnishings. Leather tends to last longer than many other fabric options, making it a great choice for living room furniture that is used on a regular basis. Homeowners that choose leather also find that it is easy to keep clean and looking great! Keep it natural while adding elegance to your home décor with silk fabric upholstery. This option can fit it with a variety of décor styles because it comes in different weights and colors. Silk is a popular choice for window treatments, but you can experiment with different fabrics to find the perfect fit for your home.